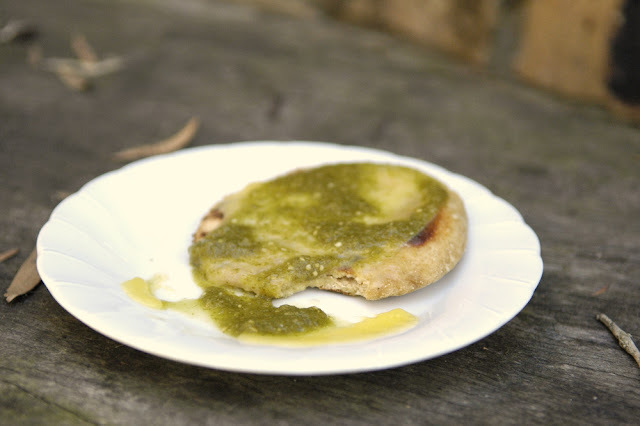 I'm pretty sure salsa verde is our favourite salsa - though I feel I should reserve that judgement for our next trip to Phoenix ... (so many to try!) Saying that, we wrap jars of salsa verde in socks and tuck them into our suitcases every time we come back from the US. Only microbrews compete for sock-space. And I just. learned. how. to. make. it. Oh, lordy. This makes me happy. 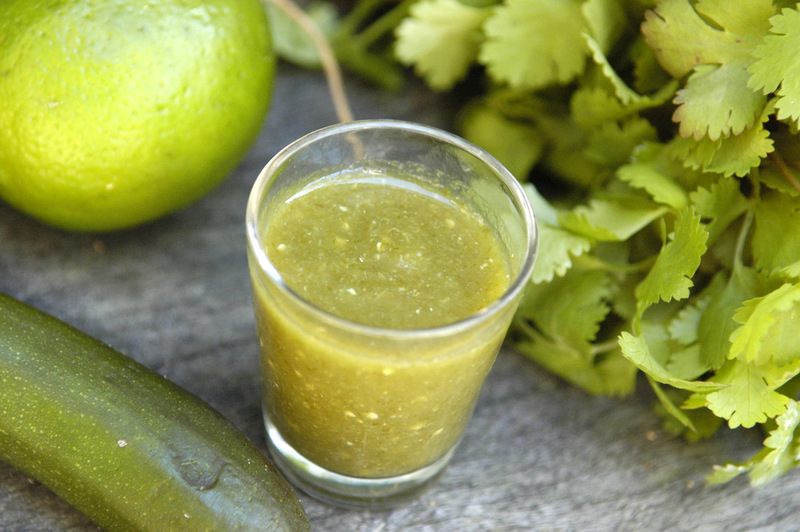 Verde means 'green,' so this is a fresh, bright salsa made from green things - fresh coriander (cilantro), jalapeno peppers, lime juice and - most essentially - tomatillos. What's a tomatillo? It's distantly related to tomatoes, looks something like a green one, and has a lovely tart flavour. Sadly, it's something I've never seen fresh here in Australia ... but you can buy it in tins at your favourite ethnic supermarket, or online here. While you're there? Pick up a tortilla press. I adore mine. And some chipotle powder. *I'm only estimating this because I was so excited, I forgot to measure! 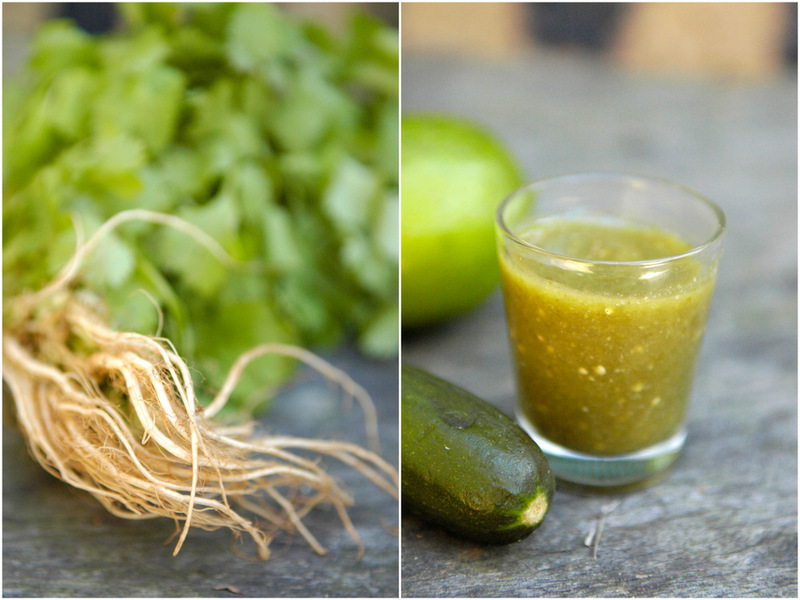 I've used raw zucchini in my salsa verde for good measure - adding extra nutrients and thickening it up slightly. I initially made this salsa for a friend's going-away feast, to go with bean or chipotle chicken tacos on a do-it-yourself buffet. But since? I've cheerily tipped it over cheesy naan breads, plantains and rice, and soft-boiled eggs on toast. Nom. It's so fresh. *NOTE: Save your stems! Clean, chop and freeze them for instant coriander goodness when cooking. **Try to use organic if you can. Here in Australia I doubt you'll find organic tomatillos, but at the least try to find organic coriander. I prefer buying leafy things chemical-free. Blend! Seriously - all you have to do it put everything in a blender and whizz it up. Taste and add chili, lime or salt to taste. Store in the fridge for up to a week. A large tin of tomatillos costs ~$6 here in Oz, but you'll only use about half of them. They come in a vinegary liquid, so just keep the extra tomatillos in their liquid in a glass jar in the fridge and make another batch when this one runs out. I buy pickled jalapenos because I love the flavour, and again, they'll last for ages in the fridge. I estimate my batch of salsa - all organic except for the tomatillos and jalapenos - cost me $6 to make. Not super-cheap, but super-good nonetheless. Fantastic! Thanks for the link to the tortilla press. i have wanted one for ages! 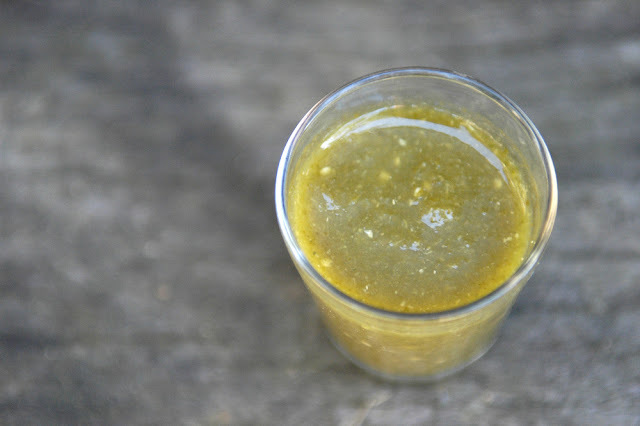 Salsa Verde - I think this would be wonderful spread over anything. HI...I am trying to email you...do you have an email address or contact page? Thanks! Sherilyn - ABSOLUTELY!!! So fresh. Love it. And my tortilla press ... I was contemplating tucking one in my luggage from the US - but they are SO HEAVY. Awesome to find one in Oz for $20! Jill - Sorry! 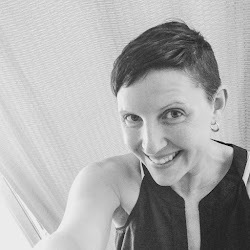 In my recent site re-vamp I obviously misplaced my contact details. I've put up a new page, and my email is at easypeasyorganic@yahoo.com.